If you struggle with depression or mood instability, you may have been told the problem is a chemical imbalance. Many of us know that the neurochemistry of our brains affects our mood, and that when certain neurotransmitters are out of balance, we can experience depression. The neurotransmitter most closely linked to depression is serotonin, while norepinephrine and dopamine are two lesser known neurotransmitters that also play a role in overall mental health. In reality we still understand little about depression and how it works on a physiological level, and much more research is needed to understand what is happening in order to develop new preventative care and treatment options. A more recent body of research has been growing around the Gut- Brain axis. Many of you may be aware that the gut plays a role in determining our mood, and it is the gut-brain axis that allows biochemical signals to travel between the gastrointestinal (GI) tract and the central nervous system (CNS). This means that the health of your gut can also influence your mental health. In the past ten years or so, the probiotic market has exploded as more and more people look to them to optimize their gut health. 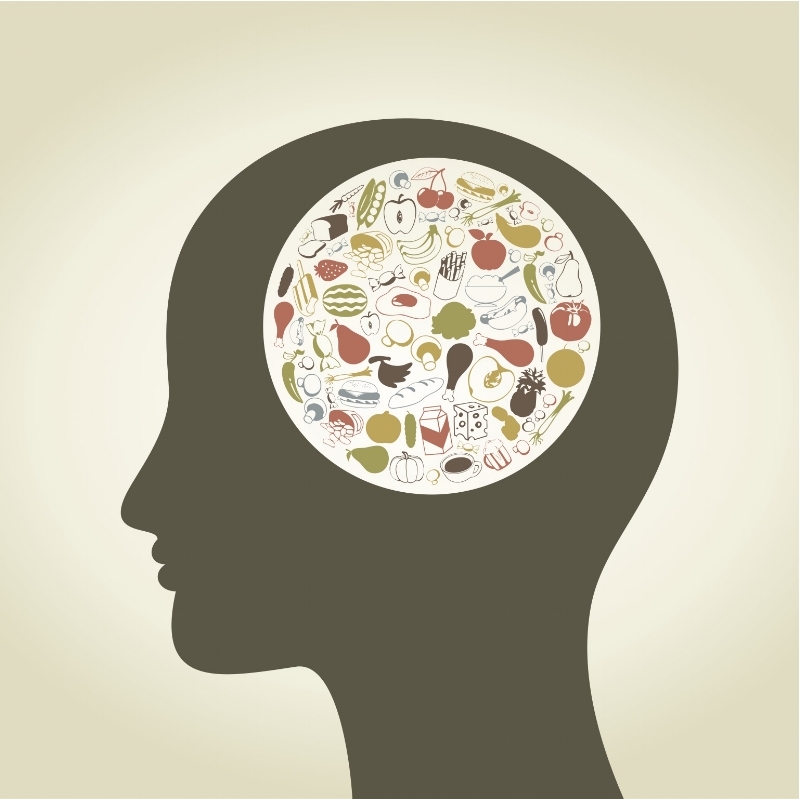 So, how exactly do probiotics work in the gut and how does that in turn effect our brain? The Gut-Brain Axis includes more than just the GI tract and CNS, it also includes the Neuroendocrine and Neuroimmune systems, as well as gut microbiota. The last of these, the microbiota, includes all of the bacteria, archaea, protists, fungi, and viruses found in the gut. It is sometimes called gut flora and it plays an important role in our health. Gut microbes collect energy from the fermentation of undigested carbohydrates and help with absorption of some fatty acids. They help our bodies synthesize Vitamin B and Vitamin K and play a role in producing hormones. An imbalance of gut flora can contribute to inflammatory and autoimmune conditions. Research on the gut-brain axis has revealed that people with mood disorders tend to have GI problems. Certain studies demonstrated that people with specific mental health conditions, such as depression, have a different composition of gut flora than those who do not have the condition. Scientists began to suspect that because probiotics support gut health, they might also help people with depression. A recent meta analysis examining ten different studies on probiotics and mood found that the results generally supported the use of probiotics for reducing symptoms of depression. Research has shown that probiotic treatment helps with healthy immune response, reduces inflammation, and increases levels of tryptophan (a precursor to serotonin). These studies use self-reporting tools such as the Beck Depression Inventory to measure depressive symptoms, and find that in general, people report lower levels of depression after using probiotics. Researchers have yet to pinpoint what specific types of probiotics are most helpful for depression, and in what doses they need to be taken in order to be effective. More research is also needed to determine what exactly is happening on a biochemical level that makes them useful in the treatment of depression (the mechanism of action). The Enteric Nervous System is part of the Gut-Brain Axis and uses neurons to carry information to different parts of the body. Neurons communicate through the use of neurotransmitters, the major source of of which is the gut, where more than 90% of the body’s Serotonin and approximately 50% of the body’s Dopamine is housed. Probiotics support digestive health and help to create an optimal balance of neurotransmitters in the gut. This, in turn, provides for good communication along the gut- brain axis and as research is increasingly uncovering, better mental health outcomes. Historically, the food we ate provided adequate levels of probiotics because we were eating them fresh or using fermentation to store them. Unfortunately, today’s mass-production agricultural practices and long-term food preservation methods often strip away naturally occurring probiotics. Some preservation methods even use chemicals or antibiotics that do further damage to our gut flora. Diets consisting of processed foods which contain large amounts of preservatives and which lack natural probiotics will have negative effects on our digestive health. The good news is, it’s possible to restore and maintain healthy gut bacteria by adding probiotics to your diet to supplement what we may not be getting from daily food intake. Fermented and cultured foods as well as raw or unpasteurized dairy items are great sources of natural probiotics. Yogurt is cultured and contains high amounts of probiotics; however, not all yogurt is created equal. For the best benefits, select organic yogurts from grass-fed goat and sheep. Kefir is similar to yogurt but it contains many more probiotics because it is fermented with yeast and more bacteria. You can even try making Kefir at home. I was able to maintain a kefir culture for about a year but had to give it up as it takes quite a bit of work to keep up with the culture. If you do have the time, try it out! It’s a great- and cheap- source of probiotics. Fermented Vegetables such as sauerkraut and kimchi are also good options if you’re wanting to add probiotics to your diet. Both provide organic acids that support the growth of good bacteria. These foods are simple to make at home and require less time than kefir. Fermented Beverages like kombucha and kvass not only provide a good source of probiotics but also help to cleanse your liver. You can also learn to make these items in your own home! The addition of probiotics to your diet will benefit not just your digestive and general physical health, but your mental health too. As some probiotics are found beneficial for mental health, researchers are calling these Psychobiotics. If you are struggling with depression and want to incorporate probiotics to support your whole-body health and improve your mood, consult with an integrative or functional psychiatrist or a functional medicine doctor.